We serve Islip, Brookhaven, Smithtown, and many nearby areas in New York. At Kuhn Construction, we have just what you need to save money and enjoy a beautiful new living space in your home. Our basement finishing specialists are experts in converting basements just like yours into just about any room you can imagine. 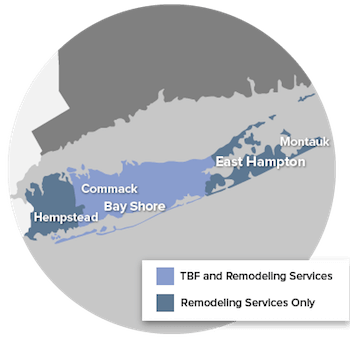 We proudly serve Brookhaven, Islip, Smithtown, and many other parts of New York.